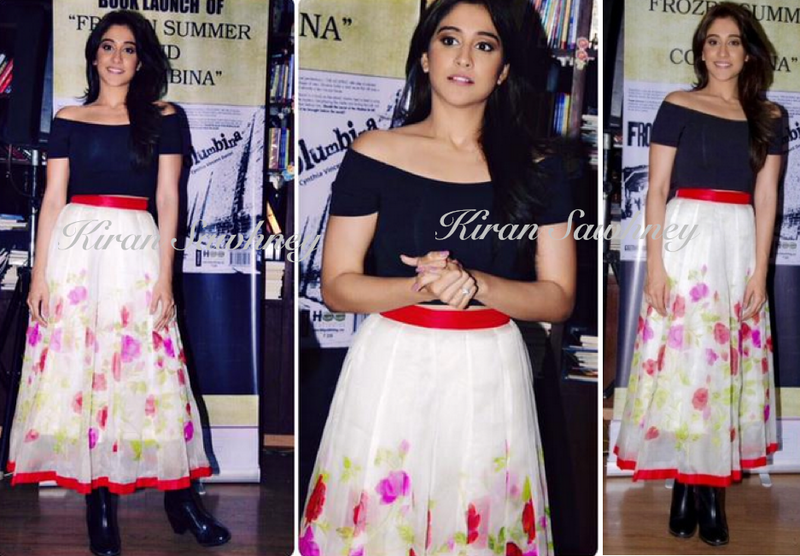 Regina Cassandra was at a Book Launch of "Frozen Summer & Columbia". She wore an off shoulder Koovs top with floral, hand painted Vasavi Shah skirt. She teamed it with ankle length boots from Zara. This look, we must say, is very disconnected. Its a beautiful feminine, flowy, floral skirt. It looks like georgette or chiffon. While we like the off shoulder top with it, it could have been any other color except black. It could have been white, red, pink or something else. Then boots had no business with this look. This look demanded stilettos. Bad styling.